CHIHA (meaning Vermouth, a healing plant) was born in the South of Tunisia. 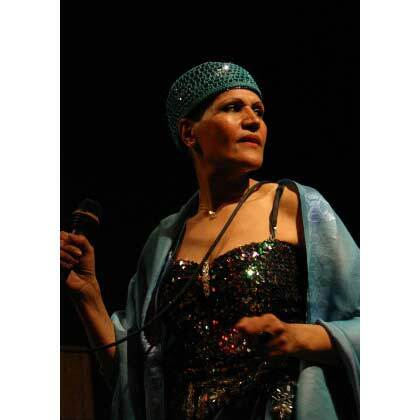 During her vocal studies she specialised in Arabic-Andalousian music as well as Berber traditions and the rare art of Nubat, which only very few people know how to sing. 1968-1971 she became the main singer for the Palace in Karthago, and in 1968 the President of Tunisia, Habib Burgeba gave her the name “Wafa Khaldia” (the eternal faith). She has performed countless tours, appeared on TV at the Soccer World Cup in 2006 and TEDDY Queer Film Award at the Berlinale Film Festival 2007, and on radio broadcasts which introduced her to the public both in Tunisia and abroad with traditional classic Arabic ‘Malouf’ (Andalusian classical music of the Maghreb). 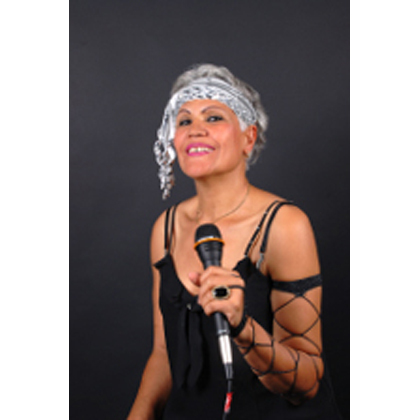 Her awesome voice and performance will make an audience of more than 100.000 people dance! 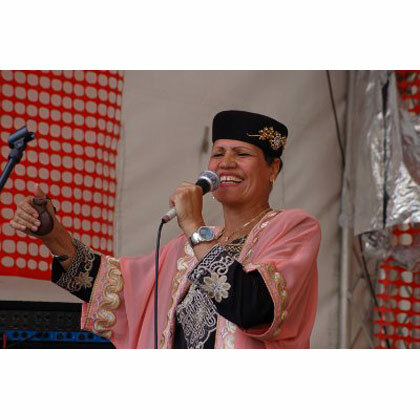 In the 60ies, while still studying at the Tunis Conservatory, CHIHA participated in a classical music concert featuring a German symphony orchestra and was fascinated by this orchestral soundworld which was new to her – this inpired her to mix elements of European and Arabic sound worlds. 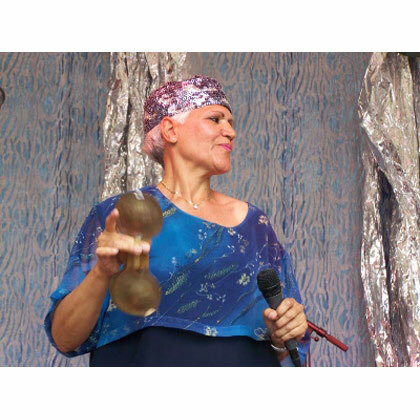 In 2000, she released her first album “Oh Mami” with United-ONE-Records, the main track of which became a radio and club hit across the Mediterranean and is found on numerous compilations (including Chick Corea). CHIHA’s second album ‘Mystic Bridges’ followed as a natural stylistic progression from her first album, it blends Arabian-Andalousian traditional sounds with contemporary Western dance music resulting in an outstanding oriental pop record with Drum’n‘Bass and House influences. ‘Mystic Bridges’ was a result of the collaboration of her work with: Wolfgang Ohmer, who masterminded the project, Wando Freyburg and Matthias Trippner – the drummer of band Shank, and the producer of her first album ‘Oh Mami’. The voice of Chiha, our very own oriental jewel, and her tragic lyrics deal with love and conflicts of cultures work well with the experimental programme of Orient & Oxident, resulting in a genre of fantastic Arabic Trance. She dedicates her songs – mostly composed herself – to those who have supported her. Mutual understanding, respect and love of people is all-important to her and are often the subjects of her songs. 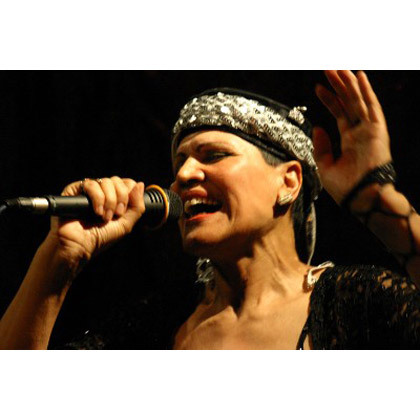 In her concerts she also sings traditional songs gathered from her North African heritage. 2006 “32 National hymnes to WM 2006”, Crescendo-rec.